They're finally here — Samsung has officially revealed the Galaxy S9 and S9+, which run Android Oreo out of the box. Since we've spent plenty of time with the Oreo beta for the Galaxy S8, we already know about some of the best new software features coming to the Galaxy S9. Like previous updates, Samsung has enhanced its software with a fresh look and brand new functionality. With Samsung Experience 9.0, the Korean tech giant aims to give customers their information much faster. Many of the menus have been changed with navigation in mind. Additionally, Samsung includes extra customization options for both the lock screen and home screen. That's not all — Android Oreo on the S9 also includes features like Picture-in-Picture Mode and Autofill API that make using an Android device even easier. Samsung's virtual assistant, Bixby, has been able to translate text since its inception. But the process was rather clunky, so you'll be glad to know the S9 has sped things up considerably. Now, you can just open your camera app, tap a couple buttons, then Bixby Vision will automatically translate any foreign text it sees in real-time. Oreo is good to the Samsung Keyboard. Usability-wise, the keyboard has obtained four distinct high contrast modes and resizing options. The high contrast modes make it easier for the user to differentiate the various parts of the keyboard. Resizing enhances typing comfort, and swipe to type is made simpler and more accurate. Also included are native GIF support, Emoji 5.0, and an easily accessible clipboard right in the keyboard. When Android Oreo was announced, Google introduced a new way to take granular control of your notifications. Complex messaging and social media apps often push different types of notifications to your device — now you can alter the settings for each of them. One great example is Twitter, which sends notifications for direct messages, mentions, quotes, news feed activity, likes, and others. Many of us want to receive a notification in the panel for each one of these features, but often want to change the type of alert we receive. Notification channels are the answer. While simple, Edge lighting looks fantastic in practice. With Oreo, new edge lighting options come to the S9 and S9+, including an awesome multi-color effect. Additionally, you can tweak the width and transparency of your edge lighting effect to alter how dramatic or subtle the notifications are. Android Oreo adds support for long-press shortcuts for apps on the home screen. This new feature introduces up to five contextual shortcuts within each app, accessible by long-pressing on an app's icon. Apps will need to be updated in order to use shortcuts, but, thankfully, many already have. In the YouTube app, users can jump straight to their Subscriptions page or view what videos are currently trending. In popular social media apps, such as Twitter clients, you can instantly start composing a new tweet, direct message, or search. Thanks to Android Oreo, you can hide photo albums on your Galaxy S9. The stock Gallery app now features the ability to hide albums without limit. Note: this method is not a particularly secure way of protecting your albums from intruders — for that, you'd want to use something like Samsung's Secure Folder, which is password protected. You can now use a color picker to access a custom color for folders on the home screen. The color picker displays both the current color of the folder and the new color you've chosen to ensure you're happy with changes being made. This feature theme-dependent, and some themes don't let you change certain colors. For instance, when running a black theme, your choices may be limited to shades of grey or white for folder colors. While this feature is simple, the ability to distinguish folders by color is very welcome. Samsung has changed up the About Phone menu within your phone's main Settings list. When opening the menu, you now have easier access to your phone number, model number, serial number, and IMEI. Another minor change within Settings is the search history with timestamps. When searching, you will now see a list of your previous keywords arranged by time. This can be helpful if you need access to a setting whose location you've forgotten. The Dual Messenger capability, popular in Huawei and Xiaomi phones, is now standard on the Galaxy S9. This feature is great for Facebook as well as any social media app where you have two accounts. Once the feature is enabled, you will see an orange icon in the bottom-right corner of the app icons, indicating a secondary account. Currently, it seems Facebook, Facebook Messenger, and WhatsApp are the most popular apps that support Dual Messenger functionality on the S9. Most users in North America will not find this feature useful, but it should be a success with Samsung's other markets. The wallpaper you set in Android Oreo will now have an impact on other areas of your phone's interface. Samsung has added an almost-imperceptible accent color to the lock screen clock and other information, based on your current wallpaper. When your wallpaper has a certain hue to it, that color will be applied to the lock screen text. (1) Old lock screen. (2) New lock screen. There are now new layouts for Samsung's Always On Display feature on the S9. These layouts give you a little room to customize your phone's look, as well as plenty of new color options to take the variety a step further. For those of us who take a lot of screenshots, it can be difficult to tell what the screenshots are actually of when viewing by thumbnails. Android will apply a seemingly random name that doesn't identify the content of the image. Fortunately, Samsung addressed this issue for users. With the Oreo update, all screenshots taken are labeled as "Screenshot," along with the name of the app the screenshot was taken in, as well as the date and the time. With this added information, you'll know what each screenshot is without needing to open each one. In addition to altering the accent color of the lock screen, S9 users on Oreo can now adjust the transparency of their notifications. 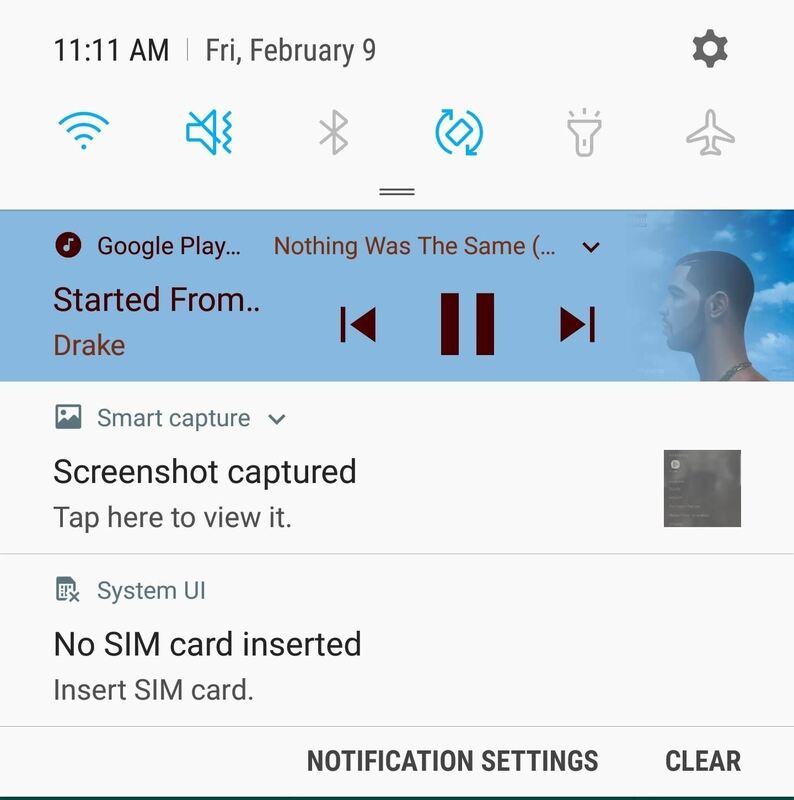 Users can change the background of notifications displayed on the lock screen from its default opaque look to a totally invisible background. This control, combined with the new clocks and color choices, can lead to some interesting lock screen appearances. With Android Oreo, Google improved the functionality of password managers. No longer do you have to copy and paste or rely on an Accessibility plugin as a workaround. Android Oreo introduces Autofill API, which allows any password manager to become the default autofill service system-wide. Once enabled, passwords from your database will be automatically populated into all login fields in both apps and websites. If you still unsure about using a password manager, check out our roundup below where we compare the top four password managers available on the Play Store. We explain why you need a password manager and what features you should look for (including which ones use Autofill API). Check out the link below to learn more. With OEMs leaving out the headphone jack in more and more smartphones, Google improved Android support for wireless headphones with the inclusion of high-quality Bluetooth audio codecs. With these codecs, you can enjoy better audio quality, as long as your pair of headphones supports them. While not better than wired headphones, these codecs help to bridge the gap. It's true that S9 users don't need to worry about this, but there are situations where wireless headphones are much more ideal. 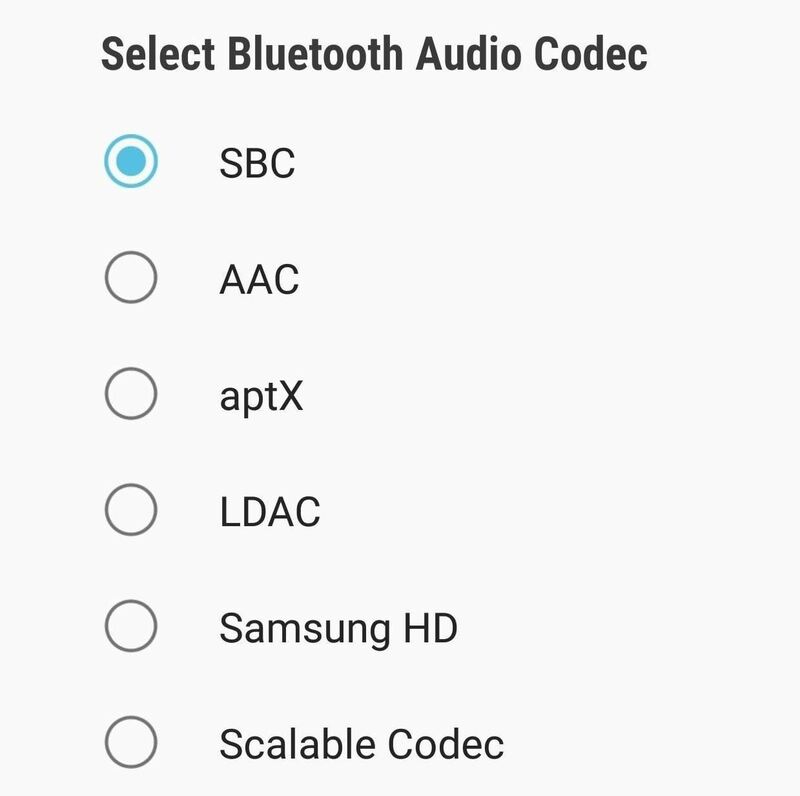 Oreo contains a number of hi-fi Bluetooth codecs, including aptX, LDAC, and Samsung HD. Almost every music or media app's music control in the notification shade will now change depending on the cover art of the song. The notification will match the color of the cover art and adjust both the background color and controls. This addition makes your music controls stand out from the rest of the notifications within the shade. Knowing which apps have access to new features, such as picture-in-picture mode, can be confusing. To simplify the process, Android Oreo added the ability to change these features in one, organized page. To access this page, open Settings, then tap "Apps". Choose an app to open its App Info page. Scroll down until you locate the Advanced grouping. These features will only show when applicable, but they'll let you modify Android Oreo features such as picture-in-picture and installation of apps outside the Play Store. With Bixby Vision, products and images that are captured in the phone's camera can be analyzed by Bixby to provide additional information. This data includes background information, where to purchase the item, its price, and more. While this was already present on the Galaxy S8 and Samsung Experience 8.5, there's now a dedicated button for it in the camera app to make Bixby Vision a lot more accessible. There are several new customization options for app icon badges on the S9. To enable and customize this feature, open Settings, tap "Notifications," then choose "App Icon Badges." The first toggle will enable or disable the feature. The second toggle, titled "Badge Style", can adjust whether a notification counter appears in the badge. For example, if you have multiple new emails, the number of emails will be shown in the dot. The final toggle controls apps that are located on your home screen. When enabled, if you long press an app with a badge, it will reveal that notification in a sub-menu above the icon. With Samsung Experience 9.0, there are a number of changes that give the S9's software a new look and functionality we'd expect with any new Galaxy device. What's your favorite new software feature? Let us know in the comments below. Jeff Springer and Jon Knight contributed to this article. All my custom text notifications have disappeared after this upgrade. Anyone know how to get them back?